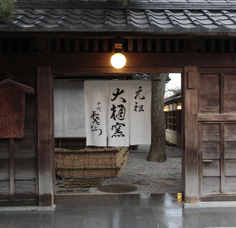 In 1666 the fifth lord of the Maeda family, Lord Maeda Tsunanori, invited to Kanazawa the fourth generation tea master of the Urasenke tradition, Senso Soshitsu, to disseminate the art of the tea ceremony known as chado. The first generation Ohi Chozaemon was a close disciple of Ichinyu, who was the fourth generation head of the Raku family of potters. Ohi Chozaemon accompanied the tea master Senso to Kanazawa and began to produce tea bowls with clay that came from the village of Ohi, which was located in an area outside of Kanazawa. This is the origin of the name Ohi-yaki. Senso Soshitsu was the fourth son of Sen no Rikyu’s grandson and third generation head of the Urasenke tradition, Sotan. 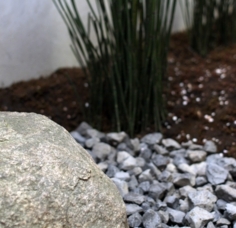 Having inherited his great-grandfather Rikyu’s philosophy of tea, Senso spread the teachings of the Senke school of chado. The first generation Ohi Chozaemon was an exceptionally talented disciple of Ichinyu, who was a descendant from the first generation master potter Raku Chojiro. Having learned Raku techniques and theories, Chozaemon, under the tutelate of Senso Soshitsu, established a unique branch kiln of the Raku tradition that was unprecedented in Kanazawa. Senso later returned to Kyoto and worked to restore the Urasenke tradition, while Chozaemon remained in Kanazawa to become the founder of a tradition known as Ohi Ware that has continued over 350 years until this day. Ohi Toyasai (Toshiro), tenth generation of the Ohi Tradition, is the recipient of the Order of Culture/Person of Cultural Merit award, member of the Japan Art Academy, and has been named an Honorary Citizen of Ishikawa Prefecture and Honorary Citizen of the city of Kanazawa. The present eleventh generation Ohi Chozaemon (Toshio) is active in creating art that combines the contemporary with the traditional. 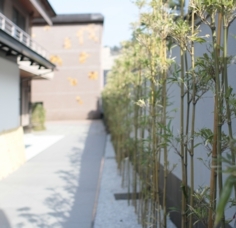 The Ohi residence is located in Hashibacho and has been designated a historic architectural structure by the city of Kanazawa. There are several tea rooms within this complex. 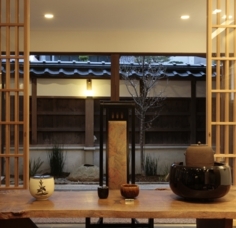 The tea room “Hodoan," which means the “fragrance of clay,” was named by the 11th generation Urasenke Grand Tea Master Gengensai. 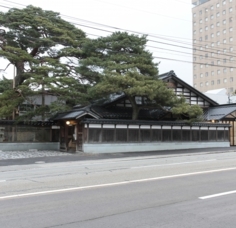 The second tea room “Todoken" was named by the 15th generation Urasenke Grand Tea Master Hounsai. 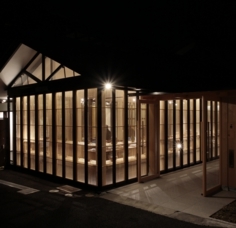 The third tea room was given the name “Shotonoma" by the18th generation family head, Maeda Toshiyasu. 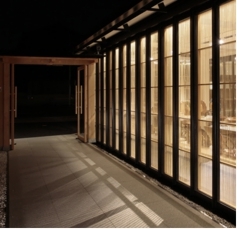 A fourth tea room, named “Nennen’an” by the 15th generation Urasenke Grand Tea Master Hounsai, was designed by the Japanese architect, Kengo Kuma. 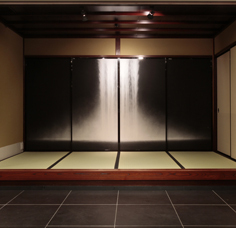 There is also a fusuma (Japanese sliding door) that was beautifully painted by the Japanese artist, Hiroshi Senju. Within this complex of tea rooms, there is a beautiful garden called “Shototei," which was named by the 18th generation family head Maeda Toshiyasu. In the “Shototei” garden there is a 500-year-old red pine tree named “Orizuru no matsu,” (the name refers to the folded origami crane), which has been recognized by the city of Kanazawa for its historical significance. 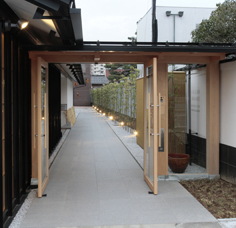 The works of Ohi Toyasai (Toshiro, 10th generation of the Ohi Tradition) and his son, Ohi Chozaemon (Toshio, 11th generation and present head of the Ohi Tradition) are displayed in the Ohi Gallery, which was designed by Kengo Kuma. 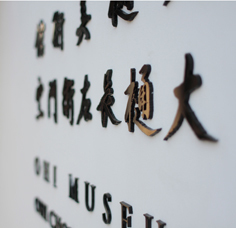 On display in the Ohi Museum are examples of the work of each generation of Ohi master potter, along with the works and documents of the cultural elites and artists connected with the Ohi family.